Gift-giving. It’s one of my favorite things. I love thinking about what perfect skincare gift would be ideal for a friend’s skin type. That’s how seriously I take this skincare stuff haha! This version of my holiday beauty gift guide will be all about “serious skincare”. When I say “serious”, I don’t mean that these skincare brands are boring or not fun. I mean simply that these are great skincare gifts for someone who is serious about taking care of their skin. They use proven ingredients at effective concentrations, and will actually DO something for your skin to improve it. These skincare products range from very affordable to luxurious splurges, but hopefully you’ll find something for that person who is REALLY into skincare. NOTE: PR gifts are denoted by (*) and affiliate links by (**). I just bought the Dr. Jart+ Ceramidin Cream for myself, actually, because it’s such a skin saver for the winter. With proven dry skin saviors like ceramides and fatty acids, the Ceramidin line is perfect for anyone who experiences dry, chapped, or damaged skin in the winter. The Ceramidin Cream will be their go-to cream until Spring. Dr. Jart+ often has some great skincare sets at the holidays which are usually a pretty good value. I haven’t had a chance to write my full review of the Instytutum Skincare products I received several weeks ago, but let me tell you that I’m impressed by this Swiss skincare brand. I like the serum especially, which has a refreshing watery gel texture but adds a surprising amount of moisture to my skin. It includes niacinamide, which is a proven brightening agent, as well as a stable form of vitamin C. The triple-peel is a gentle physical exfoliator that is very effective and leaves my skin feeling polished and smooth, without irritation. And the masks are very very nice. They are a jelly-like hydrogel that leaves my skin feeling super moisturized, plump, and even-toned. I bought a couple of these boxes for holiday gifts this year. The Dermstore BeautyFix Box* contains a couple of full-size products as well as several deluxe samples from well-known skincare brands like Dr. Brandt, Paula’s Choice, Juice Beauty, and more. They’re a great way to pamper someone who likes skincare and give them access to some new brands to try out. Of all the subscription boxes I’ve tried I do think this one is the best value — just $25 for a monthly subscription or $35 for a standalone box (ONE of those full size products usually costs more than that, and the value of the box is over $100)! JKosmmune is a newer brand that has really impressed me with their highly hydrating formulations. 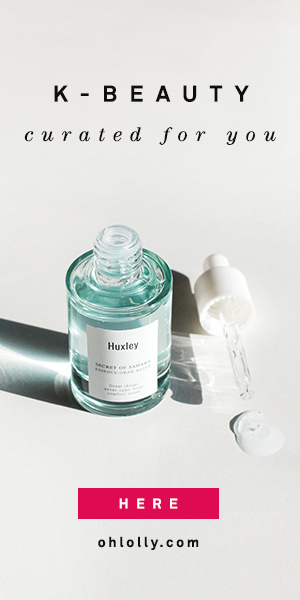 This KBeauty-inspired, but US-based brand, bases their products on high quality beta-glucan, a humectant that is even more effective than hyaluronic acid in drawing and holding water in your skin. The simple formulations allow the star ingredient to shine, and the toner and serum, especially, have become well-loved products in my routine. They provide a lot of moisture without weighing down my skin or feeling sticky. Their products are also quite reasonably priced so you won’t go broke buying a few of them! I just got these a couple weeks ago so I haven’t been able to put out a full review yet, but so far I’m impressed with these ingredient-focused serums that have such a good reputation in the skincare community. The Vitamin C+E+Ferulic acid serum is a close approximation of the expensive Skinceuticals version, and from what I can tell, it seems to be as effective at a fraction of the price. CoQ10 is a great antioxidant and the Timeless CoQ10 serum gets great reviews for anti-aging and firming. All of Timeless’ serums include high concentrations of the star ingredient, so you know what you’re paying for. Swanicoco is a Kbeauty brand, yes, but it’s also a brand that packs ALL THE CUTTING EDGE RESEARCH into their products, making it a prime candidate for serious skincare gifts! Epidermal growth factor? Check. Peptides? Check. Vitamins? Check. PHAs? Check. Best thing is, they package all these great biotechnologies into gentle, plant-based, nourishing formulations. Lately I’ve been using the FGF (fibroblast growth factor) serum and my husband thinks my skin is “even smoother” than it was before; it has a radiance and youthful glow to it. I’m also a huge fan of the Fermentation Care serum, which gets rave reviews (the entire Fermentation Care line does, and would make a lovely gift set). A less expensive, but still lovely gift, would be the Snail Fermentation line which is nicely hydrating and makes a great base on which to build your skincare routine. I just wrote a review of the Jan Marini Holiday Exfoliator (limited edition) and I really love it. It’s perfect for someone who wants to start exfoliating but isn’t quite ready for strong acid peels. This exfoliator contains both gentle exfoliating particles as well as fruit enzymes and a small amount of AHA (alphy hydroxy acids) to resurface and brighten skin. It smells delicious and feels incredibly creamy and luxurious. You can definitely tell this is a well-formulated, high quality exfoliator. I debated whether or not to put ONEOSEVEN in the category of serious skincare, or add it into my KBeauty gifts guide, and I decided to put it here because the Coreflex Cream Essence*, in particular, is one of the most effective skincare products I have in my arsenal (and sadly, I’m almost out of it). I have reviewed it here, but in brief, this is an amazing product for firming and lifting the skin, making it look tighter (in a good way) and more youthful. It absorbs SO fast, you have to try it to believe it! I recently got a package of goodies from Tula Skincare, a brand that combines effective ingredients with nurturing probiotics. I love the concept, and I also love the ingredients lists, which are pretty clean with lots of good stuff in them and few fillers. I’ve tried the TULA 10% ProGlycolic gel a couple of times and I was impressed. It’s gentle but seemed pretty effective the couple times I tried it. I’m pretty excited about this brand, so I’m including it here even though I haven’t had a chance to test it thoroughly yet. Well, I think that’s enough to chew on for now =). I’ll be back soon with more beauty and skincare gifts! Do you have any “serious” skincare recommendations? I’m looking at these and I am making mental note of gifts for myself. LOL! I think beauty subscription is a great gift for any beauty lovers and yes, to Instytutum products, I am really impressed by them too! I would LOVE to get a beauty subscription for Christmas! It’s a gift that keeps on giving, haha! Such a great roundup of amazing products Camilla! I’m usually not a fan of beauty subscription boxes but from what I’ve seen the Dermstore ones look really nice! Also yes to Instytutum products, they work so well and come beautifully packaged already! I think what I like about the Dermstore box is that it includes a good mix of full size and deluxe samples and they include some really great brands! Yes the Instytutum products look and feel so luxe, they would make a lovely gift!